Mushir (Arabic: مشير‎‎) is an Arab word meaning "counsellor" or "advisor". It is related to the word shura, meaning consultation or "taking counsel". As an official title, it historically indicates a personal advisor to the ruler. In this use it is roughly comparable to the European titles of State Counsellor and counsellor of state. In a military context, mushir became associated with the idea of the ruler's personal counsellor or advisor on military matters, and as such became the highest rank in Arab countries and the Ottoman Empire. It is used as the highest rank in most armed forces of the Middle East and North Africa, for armies, navies, and air forces. It is therefore equivalent to the ranks of Field Marshal and Admiral of the Fleet. In Iraq under the rule of Saddam Hussein, the Iraqi navy maintained a fleet admiral rank known as Mushir. A Mushir was the most senior of all naval officers and the rank was rarely bestowed. 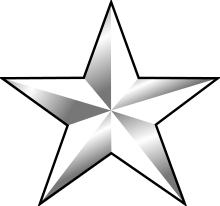 The sleeve insignia was the same as a British Admiral of the Fleet. The rank of Mushir in Iraq is known as "Muhib" and is used in all official and unofficial addresses. Saddam Hussein as commander-in-chief of the armed forces was an honorary "staff muhib" (مهيب ركن) in the Iraqi army, and the uniform which he typically wore was that of a staff muhib. He was the only muhib in the Iraqi army, for the minister of defence and the chief of staff held the rank of "Fariq awal rukun" (فريق اول ركن), or "staff general". (Hussein never actually served in the Iraqi Army but commanded as ruler of Iraq.) After Hussein's fall in the 2003 invasion of Iraq, the rank of Mushir became obsolete in the new Iraqi military. In Saudi Arabia, the rank of Mushir is typically held ceremonially by the Saudi Royal Family, and translated as "First class Field Marshal".